The governor of Louisiana just signed 10 bills to overhaul their justice and corrections systems. 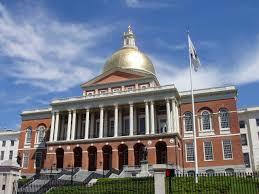 Massachusetts sadly lags behind reform. We in Massachusetts must copy Louisiana, where grassroots activism, testifying at the statehouse and in the media, and direct, face-to-face contact with their elected officials fueled success. CONTACT ME, emit [dot] susan [at] g mail if you live in Massachusetts and want EMIT to to assist you to take the most effective action: making a face-to-face visit with your state rep, near where you live. Find your state rep here. It’s your state rep’s JOB to listen to your concerns and requests. We have held small group dialogues of constituents with with dozens of lawmakers from across the state, including Robert DeLeo, D-Winthrop, speaker of the House of Representatives. To enact comprehensive reform similar to Louisiana, a series of bills is required. The sponsors of each bill insure they have support before asking Speaker DeLeo to bring a bill forward for a vote of the whole body. We must capture the attention of every state representative this session, which runs from January 2017-July 2018. Take action today and contact EMIT — emit [dot] susan [at] g mail. We have a team of volunteers standing by to set up appointments and attend them with you and a small group of other registered voters from your district. This entry was posted in Contact legislators, criminal justice reform, drug law reform, grassroots activism and tagged beacon hill, DeLeo, legislator, Louisiana, Mass., massachusetts on August 25, 2017 by Susan.